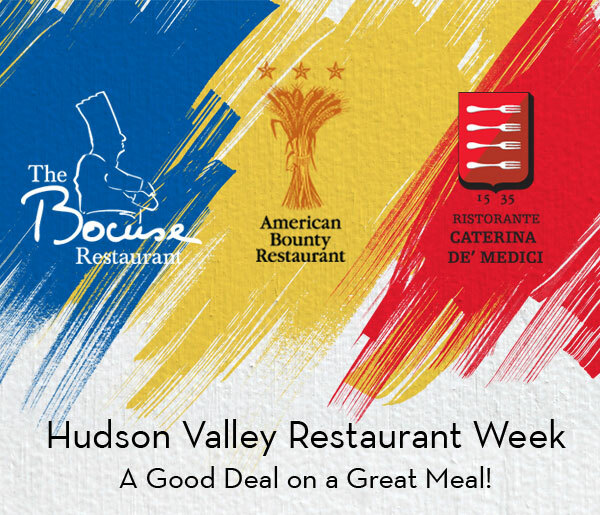 Try out a restaurant that you've never been to or return to an old favorite during the 2014 Hudson Valley Restaurant Week from Nov. 3–16. All three of the CIA's restaurants will be participating this year, so no matter your culinary preference there is room for you at our table. Enjoy a prix-fixe, three-course meal. .Choose a restaurant from the list below. .Make a reservation for March 14-27. Eat out for lunch ($20) or dinner ($28) and tip well. directly to reserve a table.